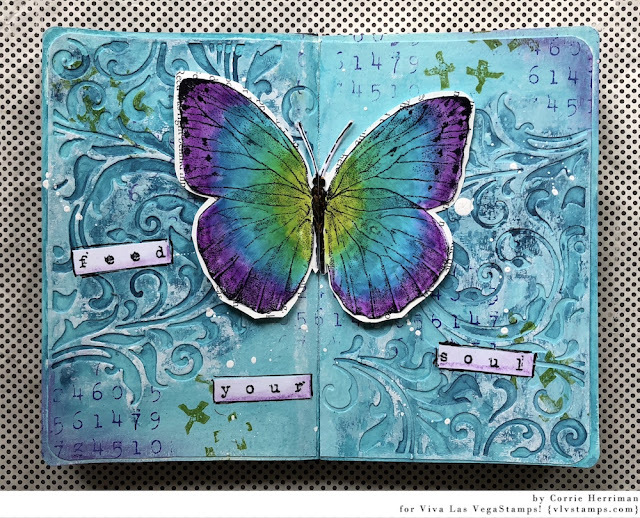 For today's post I have an art journal spread with a video ! I hope you will hop over the the VivaLasVegaStamps YouTube Channel and watch me make this ! Or you can just click the photo below. Labels: acrylic paint, archival ink, rubber stamps, Viva Las VegaStamps!, VLVS!